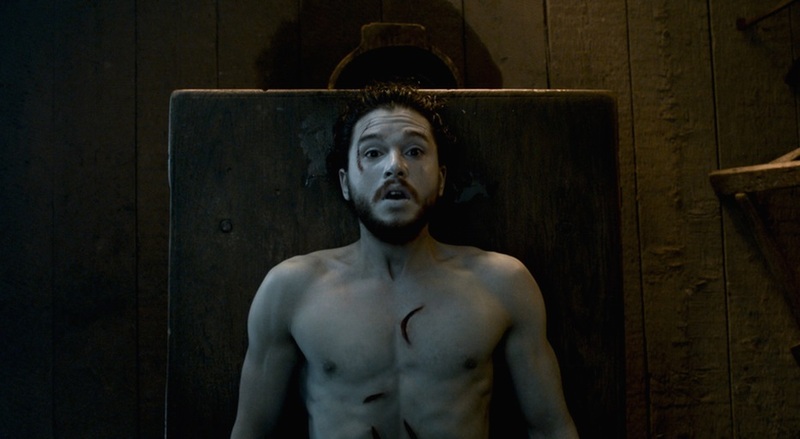 Jon Snow — back too early? Okay, it’s been a good four to five days since The Game of Thrones – Season 6 Episode 2 was aired so you can’t blame me for spoilers. In fact, this topic is probably already outdated. But I’m a nice guy, that’s why. Anyway, the R+L=J theory is being proven to be correct after Jon Snow (Kit Harington) being resurrected only 2 episodes after he was killed. Too soon? Not to mention about how simple the method is to reanimate the character as though Melisandre (Carice van Housten) could’ve easily revived anyone (now, resurrect Ned Stark, you old saggy witch!). Well, the TV series is now ahead of the book ’cause the author George RR Martin is taking his own sweet time to finish his A Song of Ice & Fire novel series, that the HBO series is based on. Perhaps HBO has taken control over RR Martin’s creative work (EDIT: After spending a bit of time Wikipedia-ing, it is true that the writers of the show is now doing the job without RR Martin at all, which pretty explains it) and that’s why audience got exactly what they predicted and wanted, this soon. It was unpredictably predictable. Certainly uncharacteristic of the creator. There wasn’t even a buildup yet in the main story of the TV series to why Jon Snow really needs to be resurrected, apart from being a very nice guy who saved lives. Bran Stark’s (Isaac Heamstead-Wright) flashbacks to reveal the R+J=L theory has only just begun. If I didn’t know about the theory, I probably wouldn’t care as much whether he stays dead or not. Perhaps RR Martin’s done it because he knows the fans weren’t expecting it to be this soon? Or was it because hiding Jon Snow’s resurrection would no longer be possible? Or was this planned by RR Martin all this while and he wasn’t going to change the storyline just because his fans have figured the secret from his brilliantly placed hints? What if Jon Snow was resurrected just to surprise us later by revealing that the R+L=J was inaccurate?! Whatever it is, I hope he’s not just trolling us by resurrecting Jon Snow just to kill him again, or worse, turning him into a villain. But yeah, The Game of Thrones won’t be as unique without its shocking moments. With all that being said, Jon Snow’s almost-instant revival gave me mixed feelings.